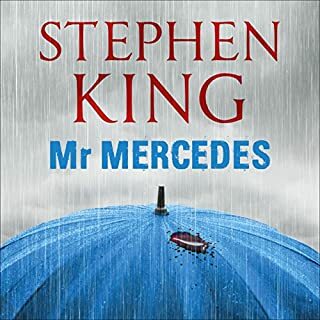 This is my first and last attempt to listen to Steven King's book and the first time I've given up on a book 40 minutes before the end. I found the events unrealistic, character unlikable and one dimensional, especially the women who were portrayed as neurotic and annoying. 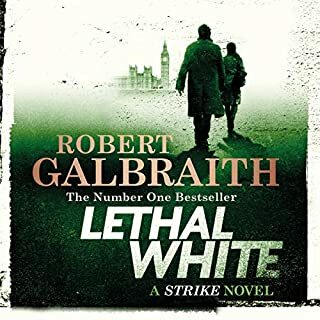 Perhaps I am too old to be starting on Steven King or maybe having listened to and really enjoyed Robert Galbraight' s excellent detective series, my expectations were too high. In any case, this was not a book for me. 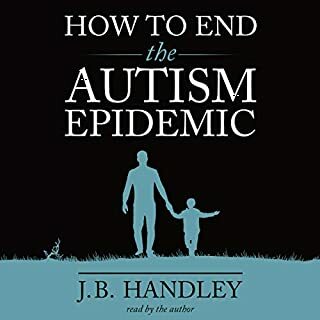 Finally my review of the "How to end the autism epidemic" book. Whether you are new to this topic or a veteran, navigating the depths of the vaccine and autism science is a treacherous terrain to step into. The under oath depositions of Dr. Plotkin, Dr. Kelley and Dr. Zimmerman all top scientists in their field, are finally sorting the facts from fiction of what is currently known to be true. This alone is a reason why this book should be read by every pediatrician or parent still conflicted and looking for clear answers. The chapter on the genesis of autism discusses 11 of the most recent and groundbreaking biological studies that piece by piece build a picture of the very plausible mechanism of harm. Its hard not to gasp in disbelief, interchangeably feel furious and triumphant while reading the depositions. Some of the passages are so unbelievable, they read like a crime thriller. It is hard to accept the level of deception happening at such high levels, especially with regards to sealing vital information from the public! Having listened to this book, re-listened again I am now reading some of the chapters and a thought that comes up is that indeed JB Handley could not have chosen a better title. My biggest hope is that this book becomes available in other languages to make waves around the world, finding it's way to the hands of pediatricians, autism parents, legislators and scientists that together will help to end the autism epidemic. Thank you for all you have done JB. Your son is a gift thanks to whom you are fulfilling your higher purpose. I listen to a lot of books and most of them have to do with human biology, immunity, health, cancer, genes and vaccines. This was a much needed and anticipated break from my usual choices. I loved every minute of it and I looked forward to waking up and putting it on while being busy in the kitchen. J.K. Rowling has a way of telling the story in a way that to me feels like watching a movie. You get a sense of the surroundings, the moods the characters are in, their expressions, personality types and all that with just the minimal amount of words. Perhaps the story itself was my least favorite one of the series, too intertwined and long winded but I loved the book nonetheless. In the 200 years since we discovered that microbes cause infectious diseases, we've battled to keep them at bay. But a recent explosion of scientific knowledge has led to undeniable evidence that early exposure to these organisms is beneficial to our children's well-being. Our current emphasis on hyper-cleanliness is taking a toll on our children's lifelong health. 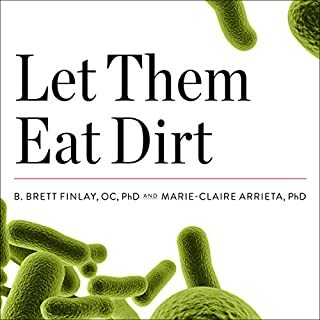 This engaging and important book explains how the millions of microbes that live in our bodies influence childhood development. I listen to this book intermittently with the "The human superorganism" which covers the same topic. While there are a lot of similarities in the information shared, the latter is more detailed, quotes more studies and gives wider information. I enjoyed the story of a mum telling her little daughter about all the tiny little microbes in her tummy and how important it is for her to look after them well by eating the right foods. Seems like a good idea to encourage kids to eat more healthy fruit and veg. The chapter on breast milk barely touched the topic which made my wonder why bother at all. It also concluded that formula feeding might be a "societal necessity". The chapter on vaccines was largely an opinion piece that quotes one study and mentions no other data, surveillance reports or risk benefit analyses but advises that you should vaccinate your kids anyways. 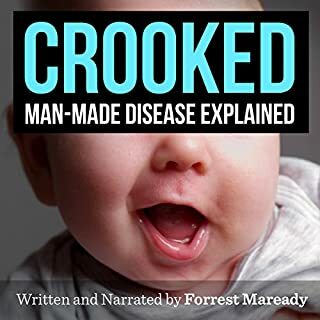 "The media picked up the story and very rapidly the rates of vaccination dropped, resulting in a jump in a measles and mumps cases, along with the deaths and long term damage associated with those diseases". How do you conduct a thorough research while omitting the source? In overall I found "the Human Superorganism to be much better written book, so consider that one before purchasing. The paradoxical thing about human health is that while the working of the human body, it's cells, organs and systems is incredibly complex and interdependent, the bases for maintaining health are actually very simple: supplying our body with healthy, nutrient dense, plant based food to allow for it's optimum performance, avoiding toxins and stressors. Similarly, the hypothesies contained in this book while discussing a wide range of seemingly unconnected symptoms and diseases, are actually very simple and too logical to dismiss. It's not surprising that it took a layman to put all the pieces of puzzles together. I can't imagine a doctor being able to do it. The downfall of the western medical approach is that while it started branching out to become more and more specialized, it also lost sight, that while we are made of brains, organs, tissue and bones, we are one, complete and inseparable system. Forrest's wholistic perspective, allowed for him to be able to make sense of fragmented, typically western reductionist information and turn it into a cohesive hypotheses. I truly wish for this book to receive a recognition and attending it really deserves, so that further research and studies could be undertaken to examine this theory further. Lets get that out of the way first. There are no Martians in this book. 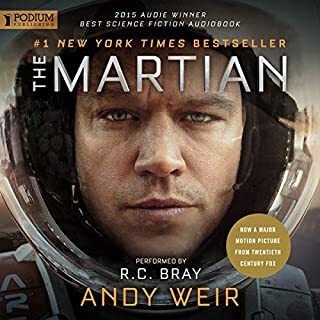 What it is, is a hypothetical manual on what could go wrong and how to survive when it does, on Mars, if you ever happen to be stranded there. Mark is a likeable character, self motivated, inventive and courageous, however he could as well be a paper cut out. For a guy stranded on uninhabitable planet, with little chance of survival and plenty that could go wrong, his undying self motivation is one ... of a robot. What exactly keeps him motivated to live, I don't know. Because you see, Mark has no real ties to earth. There is no wife/girlfriend, children, not even a close friend of real family ties that would be the reason for him to get up every day and face incredible dangers and fuel his MacGiver like inventiveness. The writers attempt to pre empty this question, with a few sentences of Mark's psychological pro filing as an optimist and a joker, hardly cuts it. Some mention this is a book is for geeks and engineers, but I don't know about that. I am married to an engineer and have a super geek for a brother and I can tell you, when they talk, they don't sound like juveniles pretending to be super intelligent adults working for NASA. That, in my opinion was on of the weaker points of this book. The diagoues seriously lacked wit and were more like the pre programmed conversation you hear in a Si-fi computer game in a 13 year old's bedroom. Good effort for a self published author, but I would have liked this story to be little bit more about Marks personal journey: loneliness, despair, self reflection, maybe spiritual or religious reflections in face of imminent danger? I would like Mark to have a bit of personality and depth, to keep the story more emotional and engaging. I lost interest in his life about 1/2 of the way. 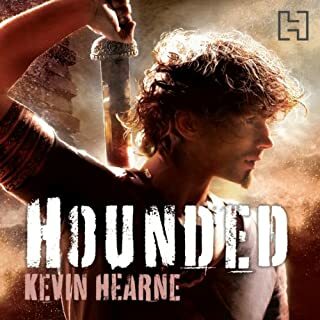 Atticus O'Sullivan, last of the Druids, lives peacefully in Arizona, running an occult bookshop and shape-shifting in his spare time to hunt with his Irish wolfhound. His neighbors and customers think that this handsome, tattooed Irish dude is about twenty-one years old - when in actuality, he's twenty-one centuries old. Not to mention: He draws his power from the earth, possesses a sharp wit, and wields an even sharper magical sword known as Fragarach, the Answerer. 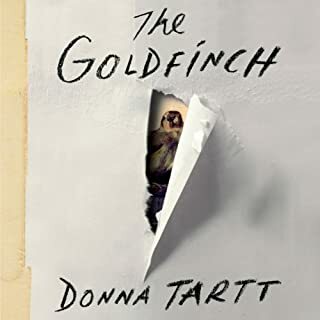 There is nothing better for any book enthusiast, than to find a story that pulls us into its world within the first few pages, where the characters are so well presented and so coherent we almost feel like we know them. Interesting, engaging and addictive. This book has none of that. It almost felt like a foreword or an intro to a story that is about to happen... except that it never does. At lest not in the first 3 1/2 hours, after which I gave up and deleted it from my laptop. I know the amount of good ratings about this book is baffling, but don't waste your credit. I really wanted to read/listen to this book. Declared by many to be one of the most important novels ever written, it was sort of my personal ambition to read it. 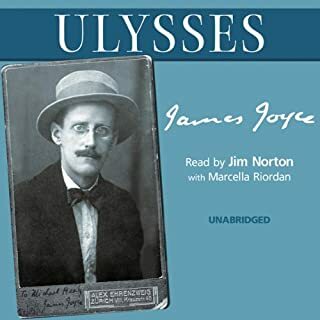 Unfortunately, this book requires your full attention and as someone else observed, even listening to it while walking is too distracting to follow Joyce's thick narrative, turn gibberish. 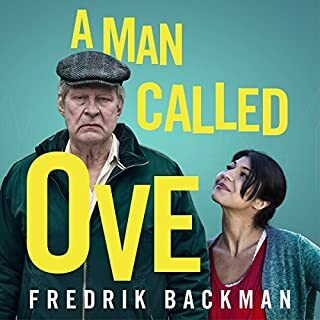 He lost me, couple of hours into the story so entangled and impermeable, that in moments I didn't understand what I am listening to. Perhaps I will go back to it, when I am so grown up, I have absolutely nothing else to do, than submerge myself to every word of this story. For now, I will keep listening to books that are written for pleasure, rather than for mental work out.